Kiss Goodbye to MS is the world’s biggest international community of people fund raising for multiple sclerosis (MS) research. 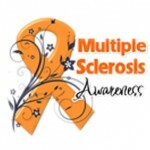 It is actually the only global fund raising campaign for MS. 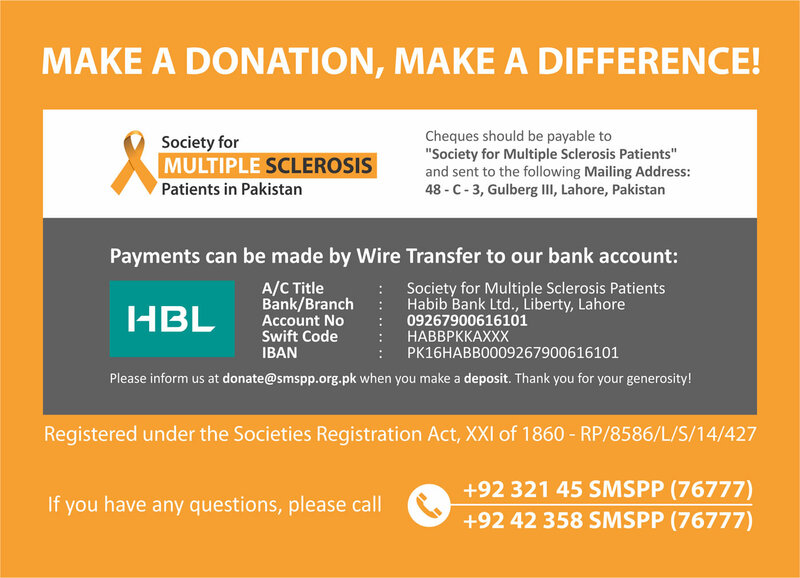 Multiple Sclerosis, or MS is an autoimmune disease which is becoming quite common in Pakistan as well. Studies show that MS affects women twice more than men. The disease is not easily diagnosed and so far, it has no known cause and no known cure. However, the symptoms can be managed and progression delayed with right medication and care. 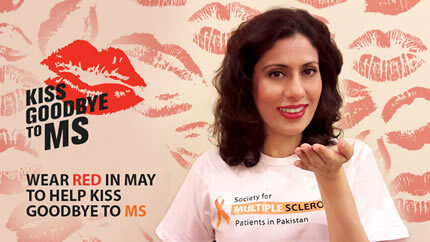 The ‘Kiss Goodbye To MS‘ campaign is a way for everyone to do something fun and exciting. It could be glamorous or weird, but the aim is to raise money for the research and support of those affected by MS. You can also join hands and stand up for yourself, a friend, a family member, or someone you haven’t even met. It is totally up to you how much you dare to do and how you plan to do it. You can also start a fund raiser within your friends and family and then donate the raised funds to your local MS support group. Today on World MS Day 2017, Wednesday 31 May, I join hands with all those who support this campaign to Kiss Goodbye To MS forever. Being an MS patient since the last 6-7 years, I wish this happens sooner than later. You can also do your part. Donate to our on-going fund raisers to show your support. Follow these links for details on how to donate. Share your picture with us so we can share it with the world on our social media sites.